In November 2004 a friendship concert by the Juilliard School Conservatory of Music and the Berlin Hochschule für Musik Hanns Eisler took place in the New Yorker Battery Park in view of the Statue of Liberty. Motto: policy is building walls – music is uniting. 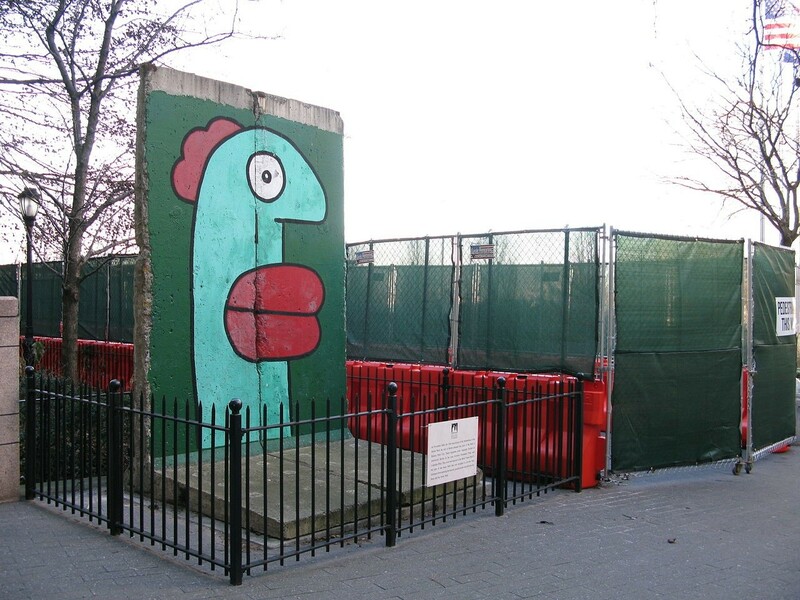 On this occasion, two Wall segments from Potsdamer Platz (donated by the Berlin Senate) were set up as a sign of solidarity. 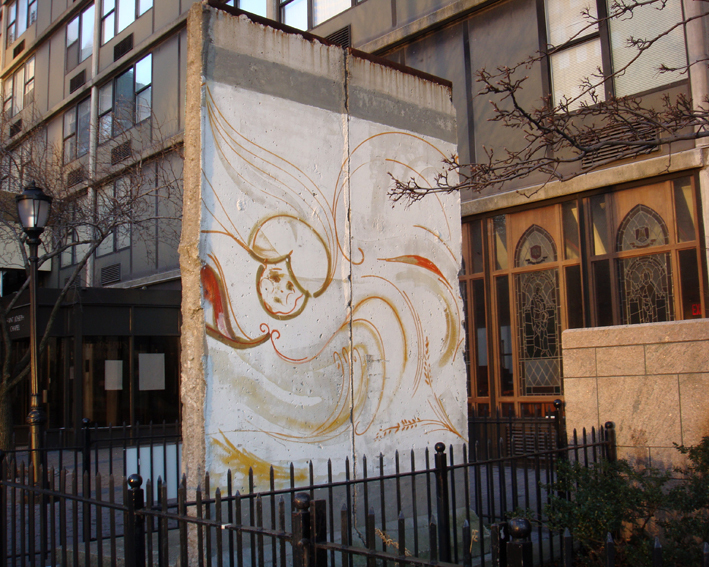 It was Tanya Dorn, artistic director at the piano house in New York, who came up with the idea of this project. 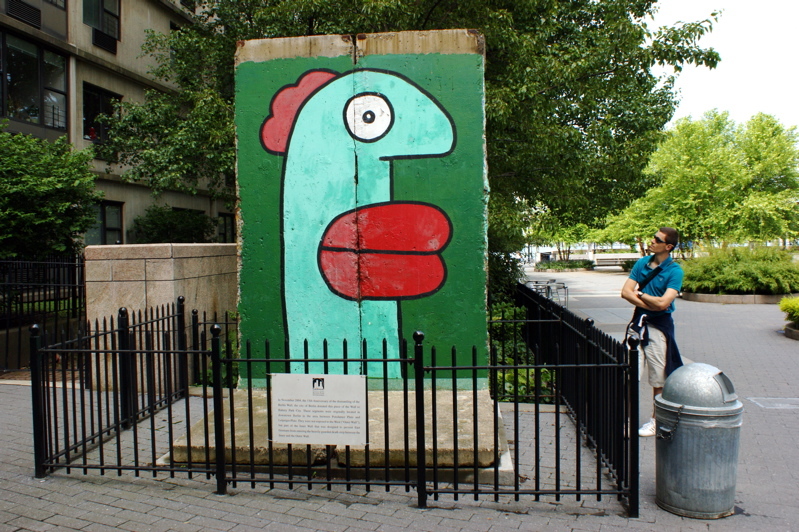 The Graffito is by Thierry Noir. 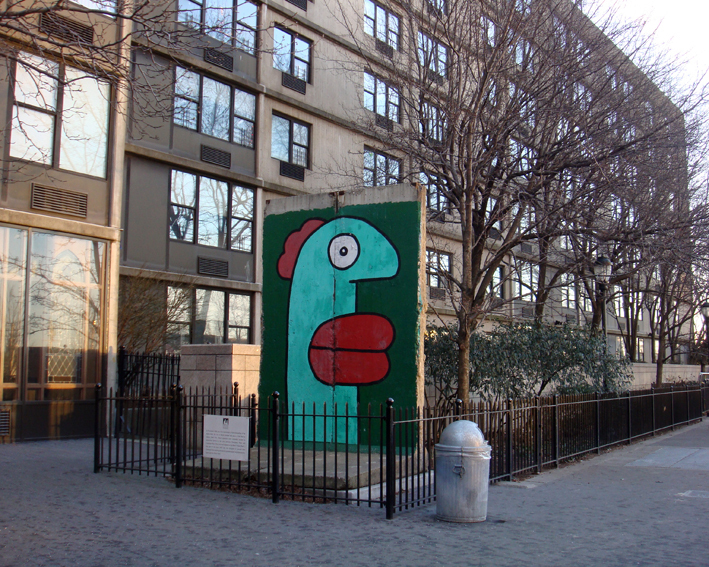 “Segment of Berlin wall in New YorkCity” by Ronny-Bonny. Licensed under CC BY 3.0 via Wikimedia Commons. ← Los Angeles, CA – Wilshire Blvd.